Democracy is based on all people having the same rights and having the country ruled by the people. Because of this, elections are essential. During elections, people have the opportunity to choose who they would like to represent them. The leaders that are chosen then have the opportunity to vote and institute rules that represent what the people would have selected. Without elections, democracy isn't based on the wants and needs of the people. It turns into another type of government where decisions are made by one person or a group of person based on their own motivating factors. Feeling especially emotional about the up-coming election? Frustrated, overwhelmed? With all the federal offices, state ballot measures and local initiatives, voting is becoming harder than getting an advanced degree. It takes hours of study and a seasoned eye to outsmart the deceptive advertising and twisted arguments for and against. Things are so complicated there’s now a term, “voter fatigue” which describes the fact that many voters don’t even get to the last page of their ballot. But, because that’s where you’ll find the LOCAL measures and where your actual vote counts most. So we URGE you to start on the LAST page of your ballot FIRST and work to the front. That way you can focus on those people and issues that matter most and make your vote count the most. Help decide IF we will build more regional transportation infrastructure? V: Shall a Rent Stabilization CITY CHARTER AMENDMENT be adopted enacting rent regulation and prohibiting amendments except by Citywide election, with annual rent increases limited to the Consumer Price Index (minimum 2%, maximum 5%) for most multifamily rental units built before February 1, 1995; prohibiting evictions without just cause for rental units built before this measure becomes effective; creating a Rental Housing Committee authorized to enact regulations, hire staff, expend funds, and charge landlords fees to implement this amendment? W: Shall a RENT STABILIZATION ORDINANCE be adopted requiring a tenant-landlord dispute resolution program and binding arbitration for rent increase disputes exceeding 5% of base rent per 12-month period and service reductions for most multifamily rental units with a certificate of occupancy before February 1, 1995; prohibiting eviction of tenants without just cause or relocation assistance; prohibiting substantive changes for two years, and requiring a super majority City Council vote for substantive changes thereafter? 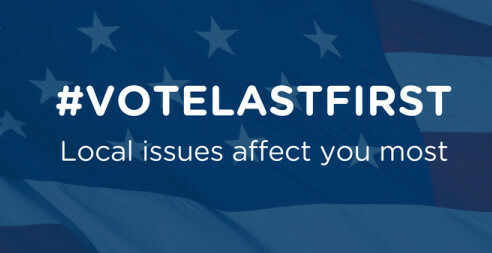 A: To provide affordable local housing for vulnerable populations including veterans, seniors, the disabled, low and moderate income individuals or families, foster youth, victims of abuse, the homeless and individuals suffering from mental health or substance abuse illnesses, which housing may include supportive mental health and substance abuse services, shall the County of Santa Clara issue up to $950 million in general obligation bonds to acquire or improve real property subject to independent citizen oversight and regular audits. Enhance transit for seniors, students, disabled; Mandating annual audits by independent citizens watchdog committee to ensure accountability.